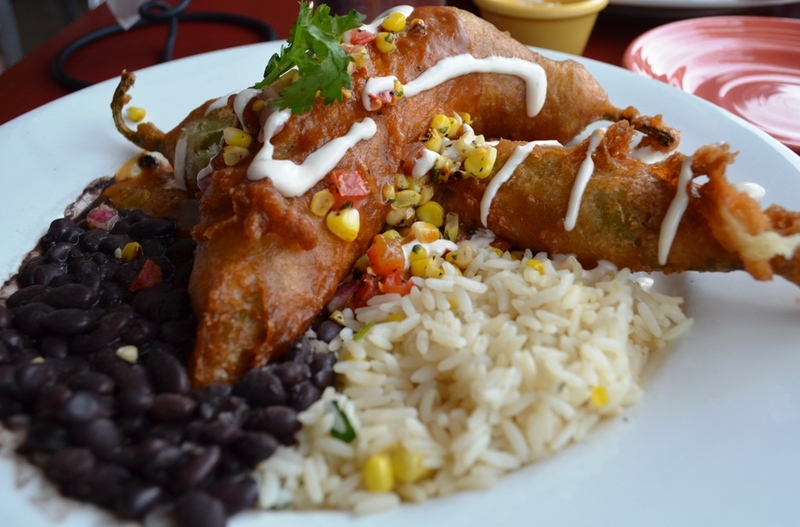 While on our recent 9-day excursion in the West, I discovered I have a deep love for chile rellenos. It really shouldn’t have come as a surprise to me. I mean, I love cheese, I love spicy things and everyone loves something fried now and then. It never once occurred to me to order one of these before because there’s always seemed to be a better option. Wanting a vacation out of the bigger cities, we stopped in Golden, CO for dinner the night we were close to Denver. We settled on a really great-looking patio at the Table Mountain Grill & Cantina. A happy hour menu and several fellow diner recommendations lead to me choosing this thing of beauty below. Gorgeous, sure. One bite and I was hooked. I had the great fortune of trying an even more delicious one at the Whiptail Grill in Springdale, UT. Springdale is an ultra-cute, well-maintained mom & pop tourist town that sits at the mouth of Zion National Park (my favorite place on Earth). The Whiptail Grill is a two-burner restaurant located inside an old converted gas station. 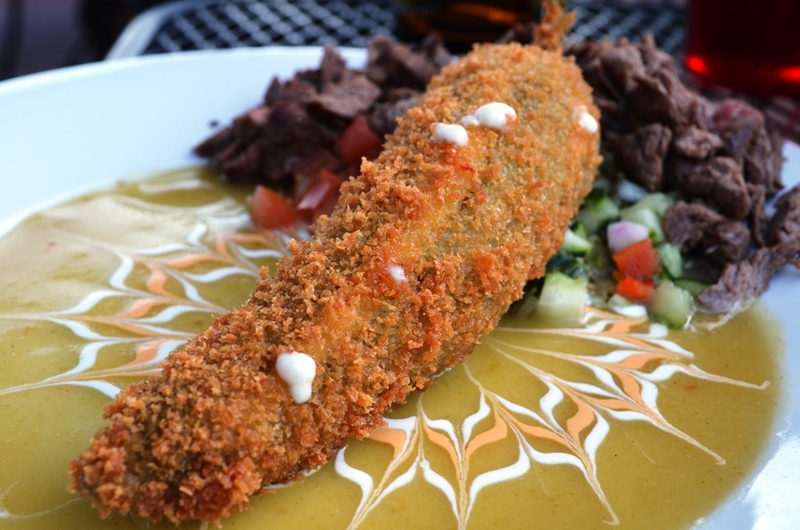 They’re well known for their goatcheese chile relleno so I gave it a whirl. The super crunchy exterior contrasted distinctly with the creamy interior and the chile itself provided the perfect amount of heat to stand up to the tangy richness of the goat cheese. Paired with beef tenderloin this made for a somewhat hefty meal, just what we needed after a day full of hiking, ooohing and ahhhhing. Absolute deliciousness! Needless to say, I’ll be trying my hand at a chile relleno soon. Wanna help? If you’ve made one before, what tips can you share? Any luck with a baked or non-deep fried version? Looks awesome! Can’t wait to try one. Gorgeous photo of the dining table, by the way.